(Bloomberg) -- Saudi Crown Prince Mohammed Bin Salman’s U.S. trip a year ago was packed with the sort of events most world leaders struggle to secure: a meeting at Bill Gates’s home, a tour of Amazon.com Inc.’s headquarters and a private visit to Virgin Galactic’s hangar in the Mojave Desert. The murder of Jamal Khashoggi destroyed all that, leaving the 33-year-old heir to the Saudi throne shunned, his government unable to repair ties with its most important foreign partner and the crown prince’s grand vision for economic development increasingly out of reach. Rather than melt away, congressional anger at Saudi Arabia’s role in killing Khashoggi -- a U.S. resident and Washington Post columnist -- has solidified, helping fuel this month’s vote by the Republican-controlled Senate rejecting U.S. military support for the Saudi-led war in Yemen. The measure awaits House action. The kingdom still has the crucial support of President Donald Trump and his top aides, who argue that its importance as a strategic ally against Iran and as a buyer of U.S. weaponry outweigh concerns about whether Prince Mohammed approved plans to kill Khashoggi.“Maybe he did, maybe he didn’t,” Trump has said. But the Saudi rulers find themselves more isolated in the U.S. than at any point since the Sept. 11 attacks, when 15 of the 19 hijackers were from Saudi Arabia. Members of Congress are calling for a probe into U.S.-Saudi talks on nuclear cooperation while threatening fresh sanctions over Khashoggi’s killing inside the Saudi consulate in Istanbul in October. McGovern and Democratic Senator Patrick Leahy joined Ahmed Fitaihi, the son of a detained U.S.-Saudi citizen, and Walid Al Hathloul, the brother of detained female activist Loujain Al Hathloul, in an event on “Torture in the Kingdom.” The family members provided emotional accounts of the treatment they say their relatives have suffered in Saudi detention. Dismissing the White House talking points about the U.S.-Saudi alliance, members of Congress from both parties regularly describe Prince Mohammed in terms usually reserved for America’s enemies. Khashoggi’s murder was “so brutal, you might have expected it with Saddam Hussein,” Leahy of Vermont said on Thursday. A year ago, things were very different. The prince was riding a wave of international enthusiasm for his promises of reform, including moves to curb the country’s notorious religious police, allow women to drive and sell a stake in Saudi Arabian Oil Co. A 35-year ban on public cinemas ended with the debut of “Black Panther” last April. Real change appeared to be unleashed in a country better known for its adherence to a puritanical 18th century version of Islam. Khashoggi’s murder and continuing frustration over human rights violations in the Yemen war -- including the bombing of a school bus full of children -- changed all that. 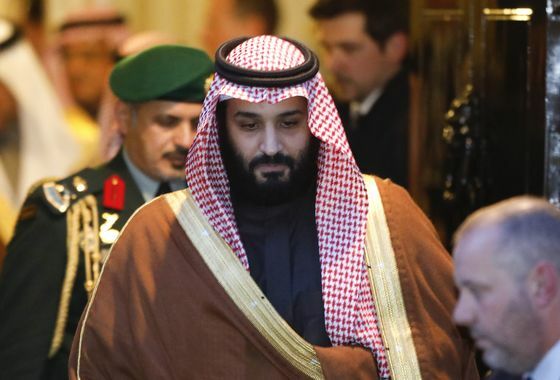 Making matters worse for the crown prince, the New York Times reported this week that he authorized a campaign to silence dissenters, including kidnapping, detention and torture, more than a year before Khashoggi’s killing, according to unidentified U.S. officials who read classified reports. The continuing hostility in Congress comes at an uncomfortable time for a kingdom that desperately needs foreign investment to meet Prince Mohammed’s economic goals. The initial public offering in Saudi Aramco has been put off, and the crown prince’s investor summit late last year flopped, with scores of business leaders canceling in the aftermath of the Khashoggi killing. The Senate’s vote against support of the war in Yemen came despite Saudi lobbying efforts, according to Ben Freeman of the Center for International Policy, a Washington-based group that monitors Saudi lobbying in the capital. 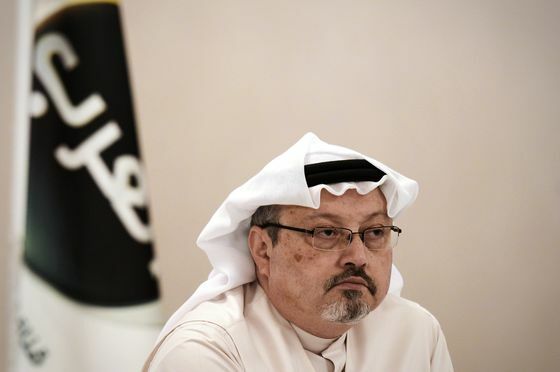 The kingdom’s outreach efforts were hampered before Khashoggi’s death, but the killing made it even harder, he said. In the 12 months before Khashoggi’s murder, Saudi Arabia spent at least $10.9 million on influencing the U.S. government and public, according to filings with the Justice Department under the Foreign Agents Registration Act. Over that period, 28 firms or individuals did lobbying or public relations work for the Saudis. Within two months of the killing, six firms canceled their contracts with the Saudis. Currently, the Saudis have 16 active firms working for them. Despite the current strains, the kingdom remains an important U.S. partner. Trump made his first visit abroad as president to Riyadh, helping seal the country’s role as the largest buyer of U.S. weapons and encouraging the kingdom to bolster efforts to isolate Iran. The U.S. and Saudi Arabia had total trade of $42 billion in 2018, according to data compiled by Bloomberg. “It is difficult to imagine a successful U.S. effort to undercut Sunni extremism or keep Iran in check without engaging and partnering with the kingdom,” Trump’s nominee for U.S. ambassador to Saudi Arabia, Retired Army General John Abizaid, said in his confirmation hearing this month. Such messages may be reinforcing the crown prince’s view that he should hunker down and wait out the controversy, according to Paul Pillar, a former CIA officer who’s now a professor at Georgetown University. Saudi officials have sought to regain what they’ve lost in U.S. support, pledging to prosecute those responsible for Khashoggi’s killing and naming the first woman to serve as the country’s ambassador in Washington. Princess Reema bint Bandar bin Sultan, who spent much of her youth in Washington as the daughter of former Ambassador Bandar bin Sultan, has yet to take up her new post. Those steps won’t be enough, according to James M. Dorsey, a Middle East scholar at Nanyang Technological University in Singapore.